If you want to change your life, get better results, and live to your full potential, you must overcome the negative thoughts in your head. You can’t litter negativity everywhere and then wonder why you’ve got a trashy life. Thinking positively is good, but you must also get rid of the negatives in order to move forward. A lot of people focus too much on positive thinking but they don’t get rid of their negative thinking patterns. As a result, they fail to proceed forward because they are still being held back by their lousy thinking. If you’re serious to make a change and you want to achieve greater success in life, learn to overcome what’s holding you back – your negative thoughts. Thinking negatively is like driving your car with the handbrakes on. And sometimes, in order to go faster, you don’t have to press the acceleration pedal more, you just need to let go of the handbrakes. In other words, let go of what is holding you back and stopping you. When you do, automatically, you can go further, faster, and higher. This is a common one. You don’t have to be fearful of making mistakes or failure. In fact, failure and mistakes are important to your success. They are the stepping stones. You don’t have to worry what if you fail miserably or what if things don’t work out. Study and read the biographies of successful people and you will understand that all of them have to go through some kind of failures before they can achieve extraordinary results in life. The key is that when you fail, you learn. When you make mistakes, you gain experience. Remember what Tony Robbins said? So don’t be afraid to fail. Get rid of this negative thinking now. Do you think that you don’t have what it takes to be successful? Well then, think again. No one ever started with everything. Every master was once a beginner. Let me tell you this, champions were not born, they were made. Take a look at all the successful people who have accomplished outstanding feats in life, you will notice that all of them were once a nobody. Successful people started out just like everybody else. They were normal. But they decided that they want to make it big. And thus, they do their best to become the person they envision. You have to be the same. Stop worrying that you are inadequate or feel inferior that you can’t do it. You’re more powerful than you think you are. Furthermore, you can always learn, improve, and become better at what you do. You don’t have to stay where you are. This a huge toxic thinking that stops a lot of people from progressing forward. They become so used to their comfort zone and what they have always done, they refuse to try new things to get out of their comfort zone. Constantly challenge yourself. Do something new. Try something that you have never done before. If you stay in your comfort zone, you will eventually become obsolete and be out of the game. Remember, when you stop growing, others will outgrow you. Your competitors will put you out of your game. It may be hard to accept, but this is the truth. The world is always changing and if you’re not pushing yourself to do better and to improve, you will soon be outdated. So you think you know it all? Do you think you already know what you need to know? If this is the case, you’d be successful already. Chances are, if you’re not successful; if you’re not rich; if you’re not where you want to be, there’s something that you don’t know. I have seen many people who attended seminars together with me. They think that they know it all. They told me that they know about this strategy or that technique, but the problem is, they are still not successful. This simply means that there is something that they don’t know. And they’re not willing to learn. Listen, you are where you are because of what you know. What you know has got you where you are right now. And if you want to go higher, do better, and achieve more, you need to learn the things that you don’t know. So stop thinking this way. There are things that you don’t know. How do you know? Well, take a good look at your own life, right now. If you’re not where you want to be, there’s something that you don’t know. Don’t let your ego fools you, my friend. We all know that we shouldn’t blame or complain, but it is challenging not to do so. Sometimes, I also caught myself blaming and complaining without giving any solution. Some people say that if you don’t complain, you can’t grow. This is true to a certain point. I believe that you need to have a solution and not just complain for the sake of doing it. When you say that it is the economy’s fault, well, do you have a solution? If you don’t have a solution, then don’t complain. Stop blaming others too. When you point a finger at someone, three of your own fingers are pointing back at you. The best way to overcome this negative thinking pattern is to take full responsibility for yourself and your life. Instead of blaming someone or something, do something about it. Are you trying to always compare yourself to others? If you do, it will be difficult for you to focus on your own plan. You see, when you try to compare yourself with others, you’ll quickly feel inferior and lose your self-confidence. Why? Simple, because there is always someone better out there. There is always someone who is doing much better than you. There is always someone more successful and richer than you. So if you want to play the comparison game, it will never end. When you see someone driving a better car or doing much better than you in social media, how does that make you feel? If you want to compare, you want to win, right? Nobody wants to compare to lose. Everyone wants to do better than others. Hence, when you’re not performing better than others, it quickly makes you feel inferior. The best way to get rid of this toxic thinking is don’t compare at all. And if you must, then compare with yourself. When you see someone younger than you driving a Ferrari and sprinting in front of you, what is the first thought you have in your mind? Now, don’t think about it, what is the first thought that comes to you? Tell me in the comment below. These are all the negative thoughts most people have. They project their own lousy beliefs, insecurities, and low values onto someone else. So, how do you know? How do you know if he is not someone who is hard working? How do you know if he is not a family man? How do you know if he has been working in the industry for 20 years and he created his own wealth? You don’t. You don’t know, but you judge. That’s what most people do. And when you judge, you’re programming your subconscious mind to not do so. When you see a young guy driving a Ferrari and you think, “he must inherit his money from his rich daddy”, guess what happens to your subconscious mind? You’re indirectly telling yourself not to be rich at a young age. Another negative thinking you need to overcome is the thought of trying to be somebody else. You don’t have to. You just need to be yourself. You don’t have to act like you’re rich and successful to be successful. When you do so, you’re confusing your subconscious mind. And in the end, you may not know who you really are. I bet you have met or talked to someone and in an instant, you felt the person is insincere. You felt like he or she was acting and was so fake. Have you? And I bet there are also times when you met with someone and almost instantly, you felt his sincerity that you can trust him. You don’t want to be someone else. You don’t have to act this way on this occasion and then try to act another way on another occasion. When you’re fake and trying to act like someone else, you’re projecting insincerity and people can sense that. It is better to get people to hate you for being who you really are than to get people to like you for being who you are not. Are you always making lousy excuses? This is one of the biggest negative thinking you must get rid if you want to be successful at what you do. You create success or you can create excuses, but you can’t create both at the same time. It is either you take the responsibility and do it, or you make excuses by justifying why you can’t. “I don’t know how”, etc. Are you making these excuses? Do you know that for every excuse you say you can’t, someone out there is facing a similar situation but are making it all work? Hence, stop making lousy excuses. Stop focusing on why you can’t and start thinking about all the great reason why you can and why you must. It is really alright to try to please everybody, except, you can’t. Sometimes in life, you need to put yourself first. You can’t please anyone if you can’t fulfill your own needs. When you ride the airplane, in case of emergency and the oxygen mask drops down, you were told to put on your own mask first before you try to help someone else. It is the same in life. You can’t save anyone if you are the one who needed to be saved. The best way to get rid of poverty and to help others is to stop being poor yourself. Sometimes in life, you just need to put yourself first. Plus, trying to please everybody will just end up pleasing no one else. This is because everyone’s needs are different. And you simply can’t fulfill everyone’s needs. How do you feel when you see someone doing much better than you? How thoughts do you have when your friends and colleagues are more successful than you? People who say that rich people are greedy or that successful people are lucky are simply jealous. They feel the jealousy and then they justify through their negative thoughts. If you don’t believe me, go and check it out on Facebook or YouTube. See what people say about someone successful or someone rich. No matter how good you are, someone will always say something bad about you. Well, haters gonna hate. It’s common and it’s normal. When someone is doing better than you, don’t feel jealous and don’t judge. Instead, if you really want to, challenge and do it yourself. See a successful blogger and jealous about his or her results? See your friend driving a better car than you? See a YouTuber earning 7 figure income? Well, challenge yourself to do so too. Until you can do it, don’t let your jealousy rule cloud your thinking pattern. It is either you go big, or you go home. There is no way you can succeed if you’re too shy or feel too embarrassed to standout and be someone extraordinary. The word itself explains it, to be extraordinary, you need to the ‘extra’. Ditch this type of thinking. What is stopping you from being successful? Do you feel shy because you may rock the boat? Don’t worry about being shy or how others look at you. The most important is how you look at yourself. You’re doing yourself a disservice if you know what you want but you don’t want to go for it because you don’t want to stand out. Thus, don’t be afraid to shine. It is time to unleash your maximum potential and achieve your greatness in life. Do you often think about how others think of you? If you do, it will be difficult for you to create a breakthrough and be successful in life. It’s simple, if you worry too much about how others think of you, you will never do too much. You will worry that people may laugh at you if you fail. And when you succeeded, you will worry how others will look at you. Have you heard about the 18/40/60 Rule? When you’re 18, you worry about what everybody is thinking of you; when you’re 40, you don’t give a darn what anybody thinks of you; when you’re 60, you realize nobody’s been thinking about you at all. The one that matters most if yourself. How you think about yourself is the one that truly counts. So stop wasting time thinking about how others think about you. Just do it. “If you want to get something done, you have to do it yourself.” Ever have this kind of thought? This is a negative thinking pattern that will prevent your growth. You can’t do everything all by yourself. If you want to be successful, you need the help and support from others. If you think that you can do better than others and that others can’t do it much better than you, you’re wrong. And you’re preventing your own growth. When you think that others can’t get it done and you must do it yourself, you’re telling yourself that you don’t trust others. And this is one of the biggest roadblocks that stop most entrepreneurs from moving forward. You can’t grow and get to the next level if you want to control everything, because you can’t. You need to let go of this ego and start to put some trust on someone else. You can’t do it all by yourself. Mistakes and failures are not the opposite of success. In fact, they are the fundamentals of success. The only way you can learn, improve, and get better is by doing. And when you execute and take action, you stand a chance to fail and make mistakes. And there is really nothing wrong about that. People often say, “There is no failure, either you succeed, or you learn”, and I totally agree on this. Steve Jobs was fired from the company he started. He was a big failure. But he learned and gained a lot of experience from that. Eventually, he made a comeback and transformed Apple into one of the most successful companies of the decade. So don’t have to be shameful for your past mistakes and failures. You should be proud of them because you have done much more than most people don’t dare to start. Are you a perfectionist? If you do, get rid of this thought right away. I once saw a video from a successful internet entrepreneur, Neil Patel. He said that the two factors that determine an entrepreneur’s success are: speed and execution. If you wait for everything to be perfect, you lose both the speed and execution. You don’t have to get things perfect. You just need to take action, and then work on improving it along the way. When you were given an opportunity to do something big, just accept and then learn how to do it. Most of the time, you can’t learn from inaction. You can’t improve if you just sit there doing nothing. And the need to be perfect will hold you back from taking action. Remember, you just need to act and improve along the way. There is no perfect moment or the perfect product. You just need to execute and work to get there. This is another common negative thinking you must overcome. When someone tells you something, you don’t have to reject or argue until your face turns red. People who are stubborn and who won’t listen to others’ opinions will never grow and learn. They will stay where they are because they believe that they know the best. Successful people, on the other hand, understand and accept other people’s opinions when they matter. They listen and they evaluate what others are saying instead of rejecting blatantly or accepting without thinking. If you accept business advice from someone who has never started a business before, you’re setting yourself up to fail. If you don’t accept business advice from someone who runs several successful businesses, you may be losing out a lot too. The key is to listen to what others have to say and then make your own evaluation. Don’t lock yourself in your own island. If you want to conquer the summit of a mountain, listen and take advice from people who have successfully done so. It is common to have negative thinking throughout the day and in life. But it is how you deal with them that truly matters. So if you want to be successful, first, learn to overcome these negative thoughts. Get rid of the negative thinking that holds you back so that you can move further and achieve much more in life. So tell me, which negative thinking affects and holds you back the most? 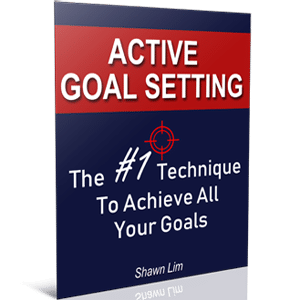 Do you know the right method to achieve your goals? Here’s a great guide that can help you achieve what you want in life. I’m giving this PDF guidebook for free. CLICK HERE to download it for FREE and use the technique immediately.